It was a shock two years ago, when Volvo announced that it will renew all its engines (four, five and six cylinders) with a new generation of four cylinders. Nothing but inline fours. All that of course without any compromise on power, drivability or luxury feel. This new engine family has just been revealed. 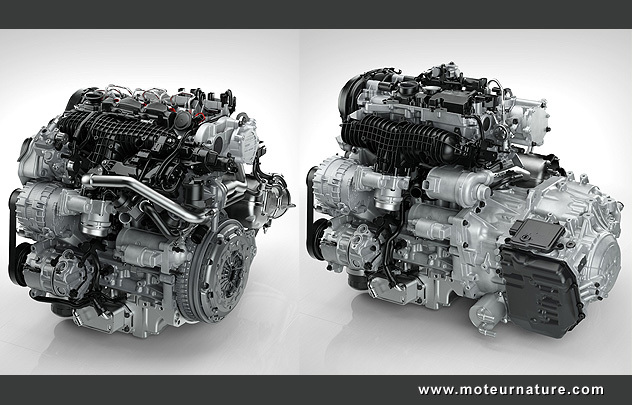 Our illustration shows the diesel on the left, and the gas engine, taller, is on the right. Both are 2-liter 4-cylinder sharing the same lower block. The 60 series Volvo (S60, V60 and XC60) will get these new engines, beginning before the end of the year.